NOTE: SENDING IN A REGISTRATION FORM DOES NOT CONSTITUTE A BOOKING. A BOOKING IS ONLY COUNTED WHEN THE DEPOSIT MONEY IS PAID AND HAS BEEN CONFIRMED AS BEING RECEIVED BY DOUBLERAFTER CATTLE DRIVES AND/OR ITS AGENTS. Do not send credit card information via internet. We are not a secure site! We much prefer a personal check. If you are paying with a credit card, you will have to call with that information. We only accept Visa and MC. There is a 25% Deposit required on all bookings. Due to enormous trip preparation expenses the balance is due 90 days prior to the trip. Please remember that filling out this registration does not guarantee you a spot on the cattle drive desired. A BOOKING IS ONLY COUNTED WHEN THE DEPOSIT MONEY IS PAID AND HAS BEEN CONFIRMED AS BEING RECEIVED BY DOUBLE RAFTER CATTLE DRIVES AND/OR ITS AGENTS. This information is confidential and will not be shared with anyone. Your weight is not our concern but saddles come in different sizes and your weight will correlate to a specific size of saddle. It is very important to us for you to have an enjoyable week. Having the right saddle will allow us to accomplish this goal. Have allergies to insects, plants, or medications? Have any pre-existing physical problems? Currently take any prescribed medication? It is recommended that you have had a tetanus vaccination within the past 5 years. SAFETY AND RESPONSIBILITY: We do our best to provide proper organization, suitable equipment, and capable staff. We want your experience to be safe and enjoyable. You need to be aware that you will be in the mountains and that means there are certain inherent elements of risk and danger which are beyond our control. We will provide a safety briefing prior to the activity, but you will be assuming responsibility for many decisions which may affect your safety. We cannot evaluate your health, or physical condition, you may want to consult your physician before signing up. You will be asked to sign an Assumption of Risk and /or Release of Liability form prior to participating. We cannot and do not assume all the risks you may face. But we will do everything we can to make your time with us one of the safest, most satisfying, and memorable adventures you've ever had. WARNING: There are significant elements of risk in any adventure, sport or activity associated with the outdoors or wilderness, including but not limited to camping, climbing/hiking/trekking, fishing, and the presence or use of saddled animals, (referred to herein as "activity"), and the use of any related equipment. ACKNOWLEDGEMENT OF RISKS: I recognize that there are inherent risks in this type of activity including but not limited to the following: 1)Falling; 2)Cold weather related injuries including hypothermia, frostnip and frostbite: 3) Heat related illnesses including heat exhaustion and heat stroke; 4) An "act of nature" which may include avalanche, rock fall, inclement weather, thunder and lightning, severe and/or varied wind, temperature or weather conditions; 5) River crossings, fjordings, or travel including travel to or from the activity; 6)Risk associated with crossing, climbing, or down climbing of rock, snow and/or ice; 7)Equipment failure or operator error; 8) The unpredictability of saddle and pack animals in response to light, movement, noise, or objects; 9) Attack by animals. 10) shortness of breath due to 7,000 to 9,500 feet elevation. I acknowledge that certain foreseeable and unforeseeable events can contribute to the unpredictability of the activity; that no warranty of any kind, express or implied, is made as to the habits, disposition, suitability, nature or physical condition of any animal; that personal property may be damaged or lost; and that I should ask about other potential hazards and recommended precautions and procedures. I accept that I may suffer accidents or illnesses in remote places where there are no available medical facilities. EXPRESS ASSUMPTION OF RISK AND RESPONSIBILITY: In recognition of the inherent risks of the activity which I and any minor children for which I am responsible, will engage in, I confirm that I am (we are) physically and mentally capable of participating in the activity and/or using equipment. I/We participate willingly and voluntarily. I assume full responsibility for personal injury, accidents or illness (including death), and any resultant expenses. I also assume responsibility for damage to or loss of my personal property as the result of any accident that may occur. I assume the risk(s) of personal injury, accidents and/or illness, including but not limited to sprains, torn muscles and/or ligaments; fractured or broken bones; eye damage; cuts, wounds, scrapes, abrasions, and/or contusions; dehydration, oxygen shortage (anoxia), exposure and/or altitude sickness; head, neck, and/or spinal injuries, animal or insect bite or attack; shock, paralysis, drowning, and/or death; and acknowledge that during the activity, if I/we experience fatigue, chill and/or dizziness, it may diminish my/our reaction time and increase the risk of an accident. COVENANT OF GOOD FAITH: I recognize that you, as provider of goods and services, will operate under a covenant of good faith and fair dealing that you may find it necessary to terminate an activity due to forces of nature, medical necessities or other problems; and/or refuse or terminate the participation of any person you judge to be incapable of meeting the rigors or requirements of participating in the activity. I accept your right to take such actions for the safety of myself and/or other participants. I acknowledge that no guarantees have been made with respect to achieving objectives. AUTHORIZATION: I hereby authorize any medical treatment deemed necessary in the event of any injury while participating in the activity. I either have appropriate insurance or, in its absence, agree to pay all costs of rescue and/or medical services as may be incurred on my/our behalf. I agree that any film or photographs of me/us, as participants become your property may be used for promotional or commercial purposes. DOUBLE RAFTER CATTLE DRIVES AND DANA AND ALICE KERNS, it's principals, directors, officers, agents, employees and volunteers, each and every land owner, municipal and/or governmental agency upon whose property an activity is conducted, from all liability and waive any claim for damage arising from any cause whatsoever (except that which is the result of gross negligence). I recognize that if I bring my own horse, accidents, injuries and even death can occur and DOUBLE RAFTER CATTLE DRIVES AND DANA AND ALICE KERNS, are not responsible. I bring my own horse at my own risk! I recognize all monies paid are completely non-refundable. I HAVE READ AND UNDERSTAND THE FOREGOING ACKNOWLEDGEMENT OF RISKS, ASSUMPTION OF RISK AND RESPONSIBILITY, AND RELEASE OF LIABILITY. I UNDERSTAND THAT BY SIGNING THIS, I MAY BE WAIVING VALUABLE LEGAL RIGHTS. I HEREBY ACKNOWLEDGE ALL MONIES PAID FOR AN ACTIVITY ARE NON-REFUNDABLE. I ALSO RECOGNIZE AND ACCEPT THAT ANY LITIGATION THAT WERE TO TAKE PLACE WILL TAKE PLACE IN THE STATE OF WYOMING. Please Note: Helmets are NOT provided. REGISTRATION IS NOT VALID UNTIL DEPOSIT MONEY IS RECEIVED. 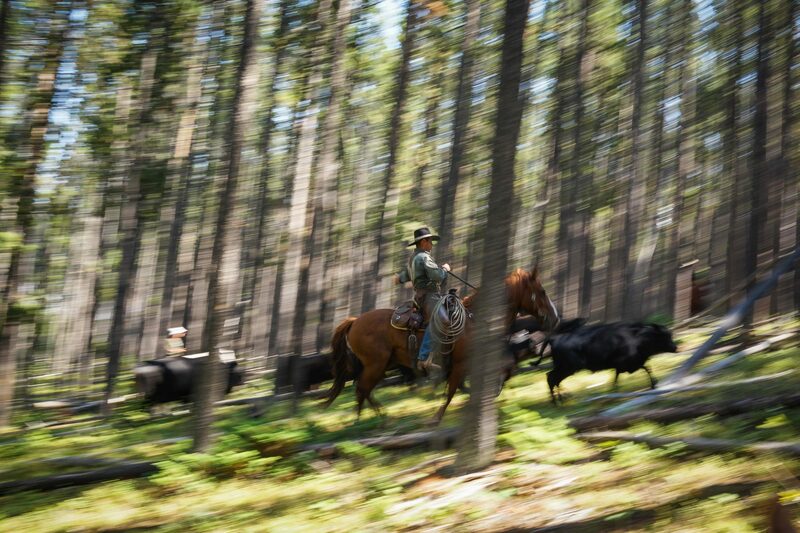 By pressing the submit button, your registration will be emailed to Doublerafter Cattle Drives. In addition, by sending this registration to Doublerafter Cattle Drives, you acknowledge that you have read the ACKNOWLEDGEMENT OF RISKS, ASSUMPTION OF RISK AND RESPONSIBILITY, AND SIGNED THE RELEASE OF LIABILITY.